Total transactions by the Dubai Land Department amounted to Dh132 billion for the first half of 2017. 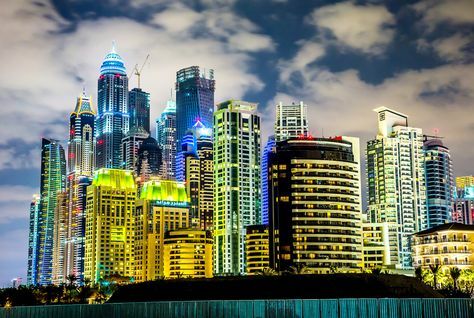 Approximately 25 per cent of these transactions are from residential transactions with investment in the Dubai off-plan market year to date standing at Dh21.4 billion and Dh11.3 billion in the secondary market. The total number of off-plan sales to date has already surpassed the entirety of off-plan sales in 2016. As the off-plan market looks positive heading into Q3 and Q4, the total number of off-plan sales could hit 25,000 units by year end. Property transaction data taken from Property Monitor, a real estate data intelligence platform, showed a total of 2,432 off-plan units transferred in July. The top five areas with the most off-plan transactions in order are Business Bay, Downtown Burj Khalifa, Dubai South, Jumeirah Village Circle and Mohammad bin Rashid City. August, which historically is a month with low number of transactions, is looking very positive in 2017 with 1,605 off-plan units transferred. With Cityscape Global coming up in September, we expect to see developers launching further projects at the event with attractive payment plans for off-plan units. This year marks the first time in 10 years that developers have been allowed to sell on-site at Cityscape Global, thus allowing them the opportunity to sell more units faster, especially with lucrative deals only available at the event. A total of 68 new projects worth around Dh21 billion were launched in H1 as per data provided by the Dubai Land Department. These new projects, mostly aimed at mid-level income households, will be the latest addition to an already significant residential supply that will hit the market over the next few years. Moving on from record-breaking months and a very successful first half of the year, it doesn’t seem to be slowing down. June had the lowest secondary market transactions in the past two years – just 624 transfers. New projects catering to mid-market housing have brought many new customers to the market who couldn’t afford to buy previously. Most units in the secondary market are still selling at a premium, thus this new wave of mid-income buyers are opting for off-plan units. In addition, developers are getting very creative with their payment plans which has been quite attractive to buyers, allowing more flexibility and giving opportunity to first-time buyers who couldn’t afford to buy before. Lower sales prices plus attractive payment plans are proving to be a winning combination. This trend looks like it’s here to stay which shows public and investor confidence in the UAE economy, with Expo 2020 now just two-and-a-half years away.